A person is very trusting. It’s a pleasure to believe in a miracle. Especially if this “miracle” is corked into a jar, in which it is written in large letters: “super slimming remedy.” What is behind these promising Diet Pills? Excess weight does not arise without a reason. Most often – this is the result of a sedentary lifestyle, malnutrition or disturbances in the body. The most common reasons for the accumulation of extra pounds – a malfunction in the pancreas or thyroid gland, liver or hormonal system, experts say. That’s why doctors with great distrust refer to tempting offers to lose weight with the help of Diet Pills, teas, and supplements. Such remedies are extremely harmful to health, as they interfere roughly in the metabolic processes of the body. Due to what it is and how exactly means for weight loss affect the body? Regardless of the form of release, the company and the country of the manufacturer, all diet pills can be divided into five types. Psychostimulating. This group includes drugs that affect the nervous system. Most often due to such psychotropic substances as caffeine, guarana, cola, Garcinia Cambogia, hoodia gordoni. And it does not matter, the plant origin of the active ingredients or the synthetic one – both of them affect the central nervous system, suppressing the appetite. The side effect of such drugs for weight loss is rapid addiction, depletion of the nervous system (depressive states), disruption of the internal organs (pressure leaps, the work of the liver, heart). Laxatives. Most teas for weight loss contain a complex composition of herbs. However, on closer inspection, it turns out that the miracle tea is just a laxative on the basis of the hay. This means that long-term administration of such drugs, on the one hand, causes loss of potassium and disrupts the heart and pancreas, and on the other hand it can provoke intestinal atony, as a result of which one day it may refuse to work independently. Diuretics. No less harmful to health and Diet Pills with a pronounced diuretic effect. Long-term use of such teas causes a violation of the water-salt balance of the body, loss of potassium and general dehydration. Stimulants of peristalsis. Another method of losing weight is the use of microcrystalline cellulose. This synthetic agent acts like a natural plant fiber, that is, swells in the stomach (causing a feeling of satiety) and in parallel stimulates the work of the intestine (enhances its peristalsis). So that’s great! – Tell you and you will be wrong. This leads to irritation of the intestinal wall, and eventually causes the syndrome of the lazy bowel (getting used to constant stimulation, it ceases to work itself). Fat Burners. Some products for weight loss contain in their composition fruit extracts, for example, pineapple or papaya, which the producers position as fat burners. However, bromelain – an enzyme contained in pineapples, accelerates the breakdown of proteins, nothing more. Thus, it promotes digestion of food, as for fats, then it does not have any influence on them. 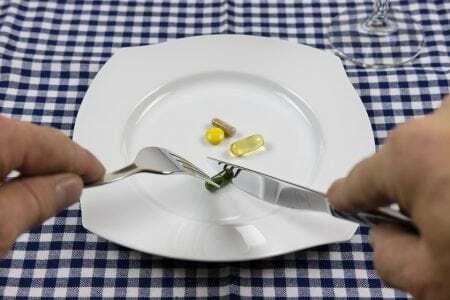 Each drug for weight loss has its own contraindications, most often it is a disease of the cardiovascular system, liver, kidneys, nervous system. However, not all manufacturers consider it necessary to directly report this to the consumer. Some cunning, for example, write that Garcinia Cambodian improves mental and physical performance. And only experts know that behind these harmless words there is information about a psychotropic substance. Hoodia Gordoni is generally poorly understood. However, even today one can say that the active substance of this plant interferes with the work of the central nervous system, “deceiving” the brain and actively interacting with the receptors responsible for the absorption of glucose. The consequences of such a substitution can be the most unpredictable, and the results are questionable, since the drug “works” only if a low-calorie diet is observed, and this in itself stimulates weight loss. How to lose weight without a threat to health? Weight loss is not a simple task, and it needs to be solved in a comprehensive manner, starting with the cleansing of the whole organism, switching to proper nutrition (preferably a fractional 5-6 times a day), maintaining a water balance (at least 2 liters per day, preferably 15-30 minutes before eating) and the regime of motor activity. To take into account all these nuances, consult a doctor. If necessary, he will appoint you vitamins or pick up supplements, but not with psychostimulants, but those that will normalize the work of internal organs (pancreas, liver, kidneys) and achieve an acceleration of metabolism. All these measures will force the body to cleanse itself and lose weight. Only in this way you can get rid of excess weight not for a week, as it happens after the means for losing weight, but for ever.